Despite all the craziness and negativeness that can come of social media, I love its power to connect people and allow them to share ideas, travels, experiences etc. Before going on a trip (whether its a two-week long vacation or a spontaneous day trip) I like to plug in the location onto Instagram and see what pops up! Even though there's a certain magic and fun in walking around a new place and finding places on your own, I like to check in to see if there's somewhere I would love that I would otherwise never find. 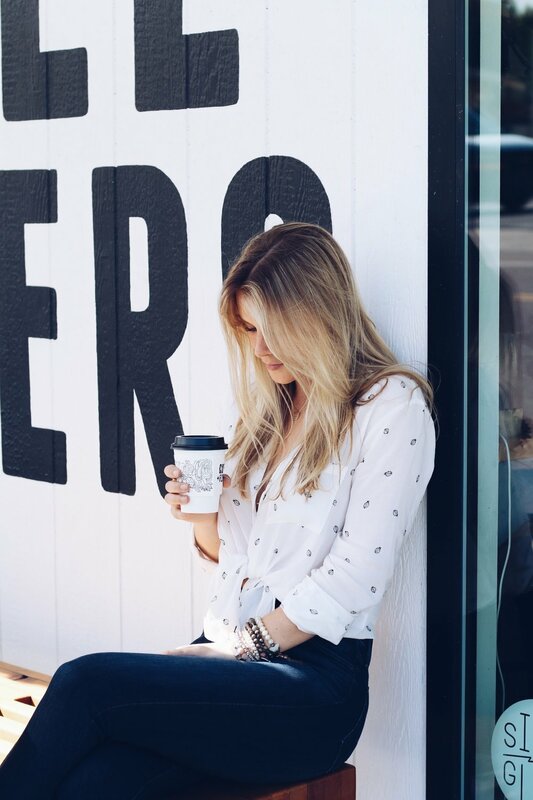 For example, when I planned my three day trip to San Diego for an interview I knew I would be crunched for time, so I did this little trick on Instagram and ended up finding a place called Communal Coffee that looked cool. 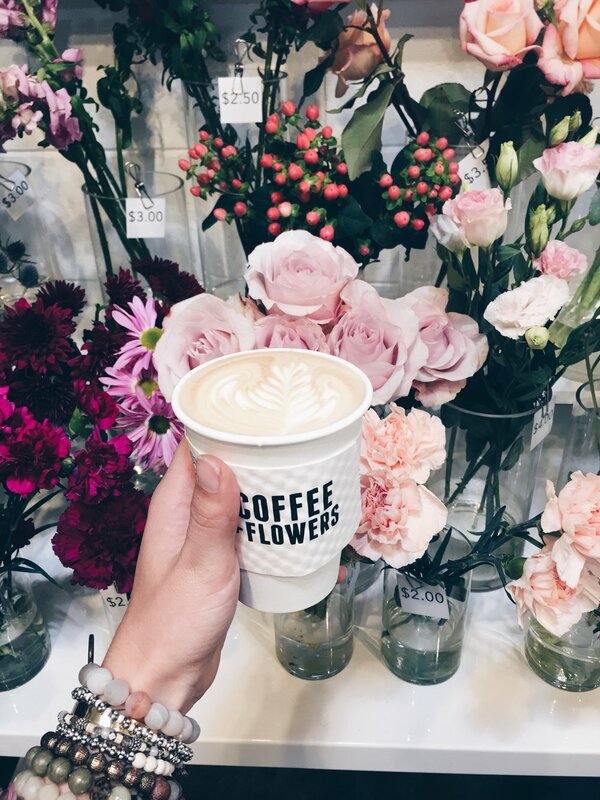 It doubled as a coffee shop and a florist (possibly every girl's dream), so I knew I was at least going to go check it out. The first morning in San Diego my sister and I drove to this spot, which ended up being in the most random side neighborhood sticking out like a sore thumb (definitely would have never found this if it wasn't for my Instagram stalking sesh I did beforehand!). One visit was enough to become obsessed and we ended up coming back a second time before leaving. The coffee was superb, the croissants even better, and the avocado toast ... see for yourself below. DROOLING. Scroll down for outfit details! If you can't tell from the photos, this blouse has ladybugs on it, which is everything.